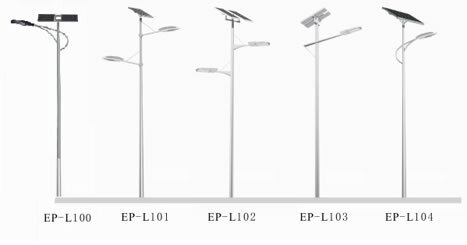 This solar lighting project is made by combining the solar photovoltaic system with LED lighting technology, and it is mainly suitable for roadway and courtyard lighting, as well as advertisement and box lighting. This solar photovoltaic system is an ideal lighting system because it is characterized by elegant appearance, energy conservation, environmental friendliness, convenient installation, etc. And there is no need to lay out routes for this solar lighting project. The solar cells are made according to the photo voltage effect principle, and they can absorb the solar radiant energy during the daytime. Later the absorbed solar energy will be converted into electricity, and stored in storage batteries with the help of charging and discharging controller. 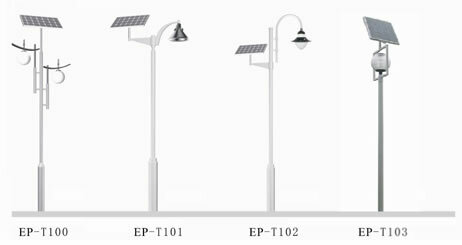 In the night, the illumination will drop to about 10lux, and the open circuit voltage of the solar panel is 4.5V. During this period, the storage batteries will discharge electricity to the lamp cap under the instructions of charging and discharging controller, and they will stop discharging after 8.5 hours. Here in Eoplly, we can provide you with one-stop services of designing, manufacturing, installing, maintaining. And we can surely help you to build up your own environmental friendly lighting system. As a expert of solar lighting projects (solar photovoltaic system) in China, Eoplly can also provide many other solar products for you, such as monocrystalline and polycrystalline solar cells, monocrystalline and polycrystalline solar modules, building integrated photovoltaic systems, on grid and off grid solar power systems, portable solar chargers, and solar tracking systems. So far our products have received many certificates like IEC, TUV, CE, UL, MCS of the United Kingdom, ISO9001:2000, KSC of South Korea, and many other relevant authoritative certificates of Europe, America, and Asia. With high performance and competitive price, our products have been exported to North America, Europe, Oceania, Eastern Europe, East Asia, etc. If you are interested in our solar lighting projects, please contact us freely.